We love making pillows with words - they are often the most meaningful of all. 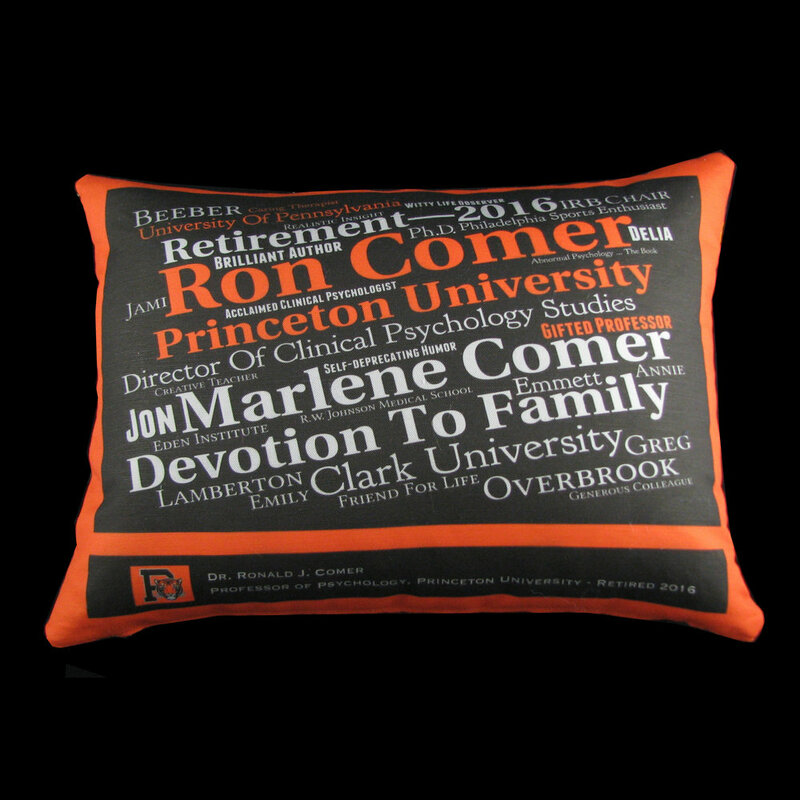 Whether for a special birthday, retirement, or as a memory aid for an aging loved one, a pillow with a meaningful wordcloud (words all over the place - we design it for you) or quote (a phrase centered) makes an amazingly special gift. Click the images below to see more examples, then email us about your custom gift. Click here for Wordcloud Pillow FAQS. EMAIL US AT INFO@THEPIECEDPALETTE.COM TO DISCUSS YOUR WORD PILLOW!